Old Long Island: Congrats Orb! 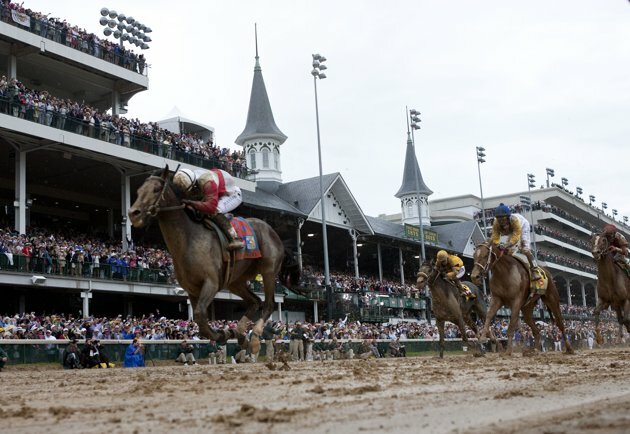 Congratulations to the Janney and Phipps families, as well as trainer Shug McGaughey and jockey Joel Rosario on Orb's winning of the 139th Kentucky Derby!! This is the first Derby win for the 'Spring Hill' line of the Phipps family and you can be sure the late Stuart Janney Jr. and wife Barbara Phipps Janney, her brother Ogden Phipps and mother Gladys Mills Phipps are all smiling down from above right now. Stuart Janney III and Dinny Phipps (pictured below) are grandsons of Henry C. and Gladys Mills Phipps of 'Spring Hill' in Old Westbury. Wonderful! The Whitney/Phipps have owned that dam line (from which Or comes from) going back NINE generations to the 1800s. 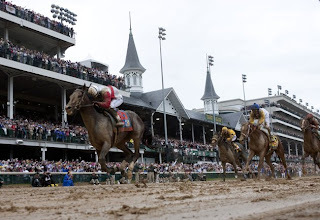 This Derby victory truly was for the "old school" of US horse racing. I was happy with my tidy profit. AND ..... do not forget "Revolutionary" too !!!!!!!!!! What a great race! One has to go back 20 years (Paul Mellon's Sea Hero) to have a representative of racing's 'Old Line'. 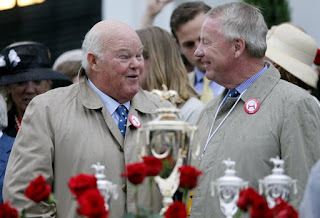 As a former employee of Greentree Stable & C V Whitney, kudos to Kellsboro Jack for recognizing the connection of Orb to the old Whitney bloodlines.